When I think of Drenge, my first thoughts drift to their popular track ‘Fuckabout’. A low and reasonably soft track, they tend to draw my mind to guitar-led tracks delving into inner melancholia. So when the new album Strange Creatures burst open with ‘Bonfire Of The City Boys’, I was surprised to say the least. Bringing to mind the likes of Idles and Shame, the opening song is a heavy riff-led track. The vocals, essentially spoken, are rapid and fast as they lead into an immensely powerful guitar. As it continues to lurch through at record speed, the song feels almost uncomfortable on the ears. It’s unsettling, but not necessarily bad — chaotic, grating, and confusing but not bad. Once more after the vocals the track splits into hefty guitar, this time overlaid with Eoin Loveless’ vocals, which are bordering on screaming. The album’s chaotic nature continues with ‘This Dance’, continuing the theme of heavy riffs and vocals that feel a little weak at this point. The song feels very classic rock and roll, with vocals that seem to have been produced to dip with the odd, consistent riff underneath. The riffs feel a little relentless, with a chorus repeating, “This dance is the last moment of movement something to prove we can dance,” that drills straight into the brain. When discussing the album, the band described it as sounding like “the stereo [was about] to fall apart at any moment,” and that feels most accurate on this track. It’s a cacophonous, riff-driven display of sound. This feeling blurs into ‘Autonomy’, which features a buzzing and glitchy beginning that turns into drums. It feels a lot more produced and refined than the previous works of Drenge. There’s something a lot heavier and harder about this album, and you can tell the consideration that’s gone into each track. The influence of youth is also visible on ‘Prom Night’, which feels delightfully nostalgic in the storytelling of its lyrics, such as: “Prom night in the heat of July, king and queen snog by the toilets”. There’s something wonderfully well-captured about this particular track that turns horrific as it tells of a fire at the event. The saxophone on this one is especially beautiful — long and drawn out for the entire second half of the track. This instrumental experimentation is stunning, and gives the whole song an orchestral feeling that achieves the same nostalgic effect as the lyrics. While the album does feel samey at points — the guitar-drenched ‘Strange Creatures’ and ‘No Flesh Road’ mean that after a while the hefty solos get a little tiresome — there is an undeniable experimentation going on. For example, ‘Never See The Signs’ begins with an almost glitch-like selection of synths before the vocals come in. Similarly, ‘Avalanches’ — a personal favourite — seems to be underlaid with a sort of buzzing white noise that allows the record’s chaotic, dissonant feeling to really jump out. The album ends a little oddly with the closer, ‘When I Look Into Your Eyes’. The end feels slightly abrupt, carrying a much more indie and vocal-centric vibe than the rest of the tracklist, which makes an odd genre-switch from rock right at the last minute. More upbeat and rather 80s in auditory aesthetic, it rings with a groovy backing vocal that once again leads to a frenzied, grating listen. Similar to the rest of the album, it feels almost aggressive on your ears despite the softer vocals on top. Whilst being another track that is not necessarily bad, it again means the album posits a more uncomfortable listen than previous records. For any band, releasing their first LP in four years takes guts, but Drenge have released something worth the time. The album is incredibly layered and intricate, spanning genres and instruments. It feels a lot more aggressive than their past releases but the intriguing, chaotic atmosphere makes for an excellent listen. It feels a little more akin to art than music — while you might not like it, it’s easy to appreciate it. 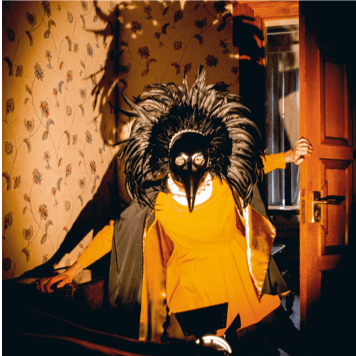 While they certainly have shifted momentous amounts since I first came across ‘Fuckabout’, it’s safe to say Drenge have created an album worth the four year wait since Undertow.